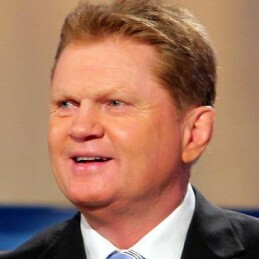 Paul “Fatty” Vautin is a rugby league enigma. Carving out a reputation for himself as one of the most talented and determined rugby league players ever to play the game, Fatty has gone on to become a national household name. One of Queensland’s favourite sons, Vautin played 13 Tests for Australia, as well as captaining Qld against NSW in the State of Origin Series. Paul also captained Manly to a premiership win in 1987, and played an incredible 201 first grade games for the club (an outstanding effort) before moving to Eastern Suburbs. Away from the paddock, Paul was to quickly develop a reputation as a character of the game. He was signed to a Lowes advertising contract, made various radio appearances, secured a spot on Ray Martin’s Midday Show and Channel 9’s Football team and signed a deal with NSW brewing giant Tooheys – quite a compliment for a “die-hard” Queenslander! An inspiring leader on the field, Paul was dubbed “Captain Courageous” by the press, for his ability to turn a game under adverse conditions and play while dogged by excruciating pain. Paul is a highly entertaining and motivational speaker, renowned for his wit, forthright nature and approach, and the insight he brings to his audience regarding sport and the media.